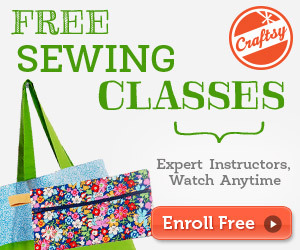 Making the gift list for Christmas for people who love to sew? I have some great gift ideas for someone who likes to sew in your life. Read along. ;) I know that the holidays are approaching and you are getting the gift list in order for the people that you love. Some people are easy to shop for as they can get the usual kitchen accessories or sports equipment. Yet what about for someone who loves to sew or quilt?I realize it is easy to just go and pick up a sewing machine or needle kit for them. However, keep in mind that they probably have the items at home (or will get the same things from other gift givers). Make your gift unique while still celebrating the sewing world by checking out this top 10 list of gift ideas for people who love to sew either as a hobby or as a profession. They will be surprised by your thoughtful present and will adore it for many years. 1. Paraffin Wax Bath If you know of someone who loves to sew but might not do the hobby as often as they would like because they suffer with stiff joints or arthritis, a paraffin wax bath machine is the perfect gift idea. The wax bath has a multitude of heat settings as it may help relieve the chronic pain they experience. It can also be used for elbows and feet. Even if they don’t suffer from arthritis or painful joints, the wax bath can still be used to help soften and smooth dry skin on their hands. 2. Quilting Totes Carrying all the quilting patterns, needles, fabric and patches to a quilting club can be tedious and disorganized when just thrown into an ordinary carry bag or used shopping bag. A quilting tote can make their lives a little easier as the tote has pockets and dividers inside to keep all of their items separated and easy to find. They won’t have to go digging for a pattern book buried at the bottom of the bag underneath a pin cushion. Having the right amount of lighting in a room is necessary for people who sew so they can ensure that stitches are exactly where they should be. Select an adjustable floor lamp that can be easily moved from room to room. Also select one that provides high-quality light as it renders the fabric colors accurately. Really, you will be bestowed with cheek kisses and fabric crafts for life when you give someone a gift certificate to their favorite craft store. Like a kid granted the key to a candy store, the person will be able to pick out the perfect items and materials they need based on their personal sewing skill level. You can obtain most gift certificates at the fabric store or you can check the store’s online site to find out what amount denominations and expiration dates the gift certificates will have. One of the most frustrating things for a person who sews is to find the perfect dress that they want to try out but they don’t have the pattern to make it. So they have to run to their favorite fabric store looking for a pattern that is the closest match. Give the person the best holiday gift buy purchasing a sewing book that includes the patterns inside. There is a large selection of these patterns books available as you can select one that has a variety of different patterns or choose one that is more selective that offers patterns to make only household items, aprons, dresses or pants. This Magic Pattern Book is one of my favorite books when I was just starting making my own patters. I have give this book to friends in the past before and they all loved the book. 6. Body Double Dress Form If you are scratching your head about what a dress form is, I guarantee that you have probably seen at least one of these in your life either in a movie, tailor shop or at your local clothes store. A dress form is a type of mannequin body without the head. It is used for sewing projects as the material can drape over the dress form that has the same size dimensions of the person who will wear the sewn clothing. The prices of dress forms has decreased over the years as you can shop for one that is the right size (or get one a bit smaller if you can’t match their exact dimensions as the sewer can always add foam padding). 7. Sewing Carrying Tray It’s true that we have our own sewing rooms with all the items that we can possibly need to make the best clothing for our families. Yet, honestly, there are times when we just have to catch a movie on the television or sit outside in the gorgeous weather. A sewing carrying tray is perfect as you can line it with felt and hold all the little sewing essentials when a person wants to sit in the living room watching television, keep an eye on the little ones playing in the backyard, or finish cooking dinner in the kitchen as they can get their sewing project done in any room. 8. Pendants and Necklaces Let someone special show their love for sewing with the perfect sewing-related necklace and pendants. There are tons of different jewelry ideas such as necklaces with beads and sewing spools attached, earrings shaped like tiny sewing machines, and pendants made to look like buttons, tiny craft scissors and irons. The jewelry possibilities are truly endless. 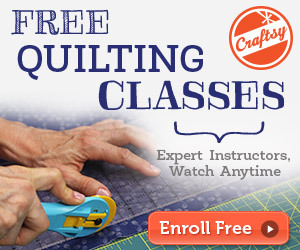 You can also shop for artwork, ornaments, shirts and knickknacks that embody the craft of sewing. 9. Sewing Coffee Mug There’s nothing like a mug filled to the brim with coffee or tea to get the blood pumping to work on the sewing machine. Coffee mugs for sewers will showcase sewing accessory decals and sayings that are perfect for people who sew. They can enjoy a quick sip to quench their thirst from a long afternoon of putting the finishing touches on a quilt, dress or curtains. 10. “Sewn with Love” Rubber Stamp You may know of a person who just loves to give out hand-sewn items as gifts. Give them something extra special with a “Sewn with Love” rubber stamp. The stamp can be customized to say “Sewn with Love” along with the person’s name as they can use the stamp on name tags, cards and letters when giving out their hand-sewn items to other people as the gift receivers will know who gave them the present. I hope you enjoy this list and please let me know on the comments if you have some great gifts in mind for the lovely seamstress in our lives.